Too often, the emphasis of a maker project rests solely on the final creation. Our critical making approach prioritizes process over product, and requires thinking (critically) at each step to solve open-ended challenges. Students plan with intention, design and test ideas, iterate based on observations, reflect on their design, and share knowledge with their peers in order to move the work and the class forward. Learn a practical framework for this type of curricular design and gain valuable hands-on maker skills from our experienced classroom educators and makers. Receive guidance and feedback on your own project ideas. Infuse making into existing projects, or generate something completely new. Leave ready to inspire student creativity and engagement. Gain skills you can employ in September (not hypothetically in the future). Jump-start critical making and innovation at your school and in your classrooms. 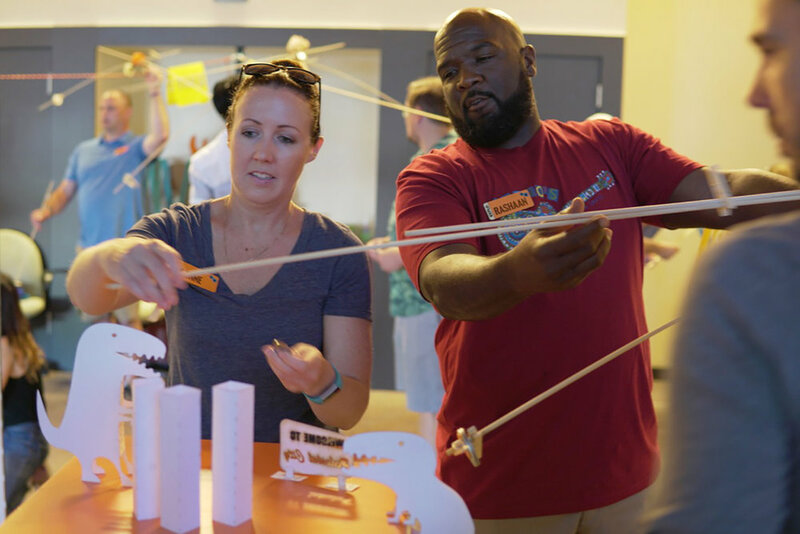 In our collaborative environment, dig into the whys, the hows, the culture, the tools, and the research that supports how we can best prepare students for a rapidly-changing future through cultivating a maker mindset. Scaffold authentic discovery. Start critical making and transform the ordinary into something with meaning. For educators, critical making depends far less on the equipment and far more on how you think about making in relation to your curriculum, your teaching, and your school culture. EXPLO Studio’s approach deepens critical thinking, complex and creative problem- solving, clarity of communication, and collaboration.